Preston City Council were so pleased with the event we staged last year that they invited us back again, so we decided to go bigger and better than before! The cogs have been turning and we’ve come up with what we think are some really exciting plans for this years’ Making a Mark day in Preston on 15th June 2019, marking the start of Preston’s Summer Saturdays season. *Sessions start at 12 prompt with no entry permitted once doors close, so please arrive early to set up. There is one break during the session. Supported by Preston City Council. Another new collaboration, this time with D52 gallery, Drink and Draw will be a relaxed, fun evening, where someone comes to perform/demonstrate/entertain whilst we draw them! D52 will then hold a pop-up exhibition of work created at the event. This month’s event will be Rhythm Jam with percussion demonstrations, interactions and performance, with the chance to enjoy tans and get to play with lots of fun percussion, as well as drawing! We will be in the private function room at the newly refurbished Stanley Arms, behind the Harris in Preston city centre. There is a suggested donation of £3 towards future events. This should be a fun night all are welcome so do join us. Wow – what an event! The Art Jam on Saturday, at the Harris Museum in Preston was amazing – so many visitors, at times it was difficult to move around. At its busiest, we had around 20 visual artists working on easels, another 6 or 7 sat on chairs with sketch pads, several more perched on tables or benches and one on the floor. In addition, several musicians playing an assortment of instruments, a singer, a poet, alongside people making model artists out of plasticine and others just enjoying the buzz. A huge thank you to all the artists that participated and to everyone that came but in particular, to the Harris Museum for allowing us to take over the Fine Art Gallery and trusting us enough to do our own thing. We loved every minute and judging by the messages we’ve received, so did all the artists that took part. It was with great sadness we learned yesterday of the passing of Cllr Albert Richardson – twice Mayor of Preston, our landlord, long time supporter and our friend. Quite simply, if not for Albert offering the use of his then empty factory mill on Stanhope Street in 2011, Oxheys would never have started. 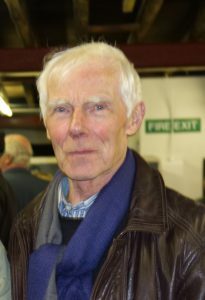 He proudly came to every one of our exhibitions and private views, enjoyed showing off “his gallery” to his friends and made a point of buying artwork from every one of the resident artists. He was a true gentleman. A kind-hearted and generous man with a lively spirit, who enjoyed having a bit of fun. We have many happy memories from the 6 years we spent at the mill. Albert – you will never be forgotten. Rest in peace. 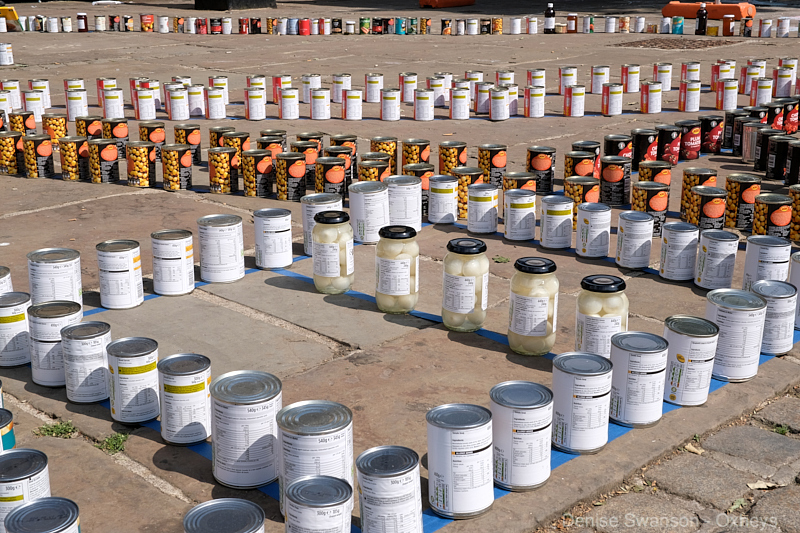 Lancashire-based artists, we need your help. 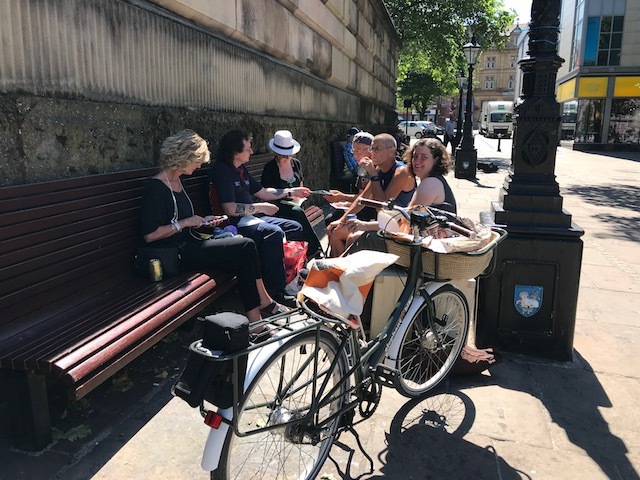 At Oxheys we don’t do bored and stuffy – our planning meeting yesterday took place on the Flag Market outside the Harris Museum, in glorious sunshine with elderflower and dandelion & burdock juice aplenty. We discussed the outcomes of the recent Making A Mark event, assessed what had worked well and where improvements could be made. We also came up with a whole raft of mad ideas for a future intervention event – more on that in due course! Also up for discussion was our recent successful bid for Lancashire Encounter 2018 and for that, we’ll need help from every artist, performer or musician based in Lancashire. Details will follow but essentially we’ll just need you to let us know who you are, where you’re based and what you do! Simples. 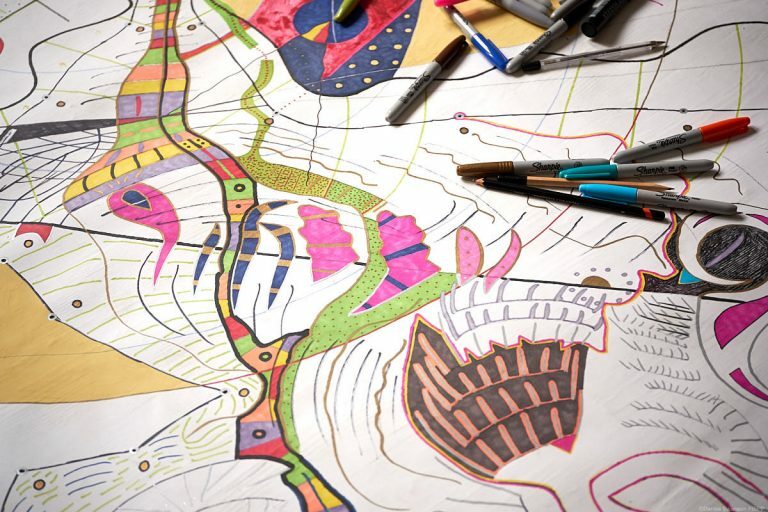 You’ll then become part of our art map of Lancashire. The next post will include a form to complete and submit…. 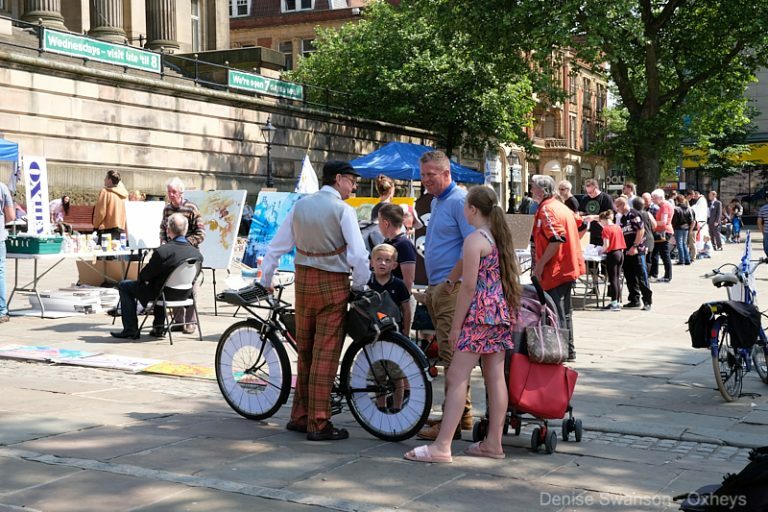 If you were on the Flag Market on 9th June for Making A Mark, you may recall seeing Winston, the world’s first cyclist poet, engaging with the crowds and creating a poem for Preston. He did this by cycling around, stopping and asking people to pick a word from the spokes on his bicycle then asking them to make phrases using those words.